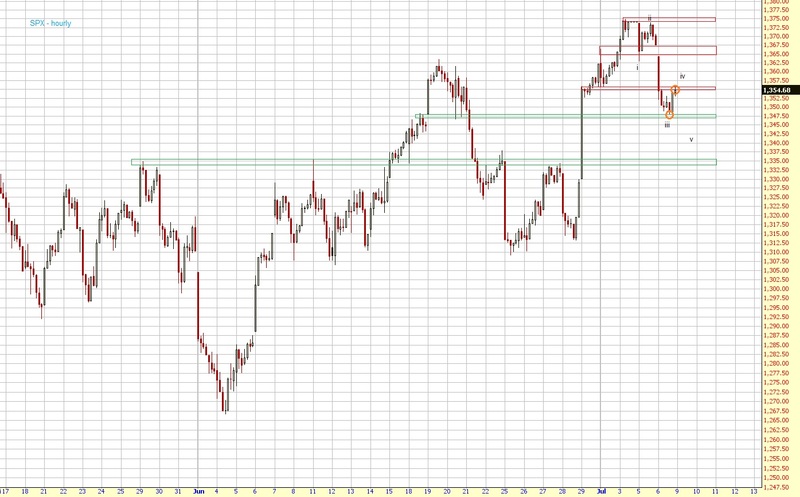 Actually, I was about to turn bullish when the market closed at 1374 on Tuesday. 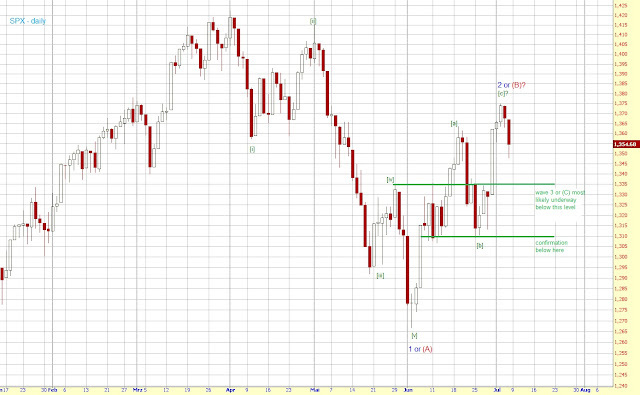 However, we didn't get a follow through the day after, so the bearish count was and still is in play. The support and resistance levels worked very well today: Early in the morning as already posted intraday but also late in the day when the SPX rallied to 1355 by the end of the day after hitting the support at 1348 about 90 minutes before the close.